LISTING IS FOR ONE STICK. 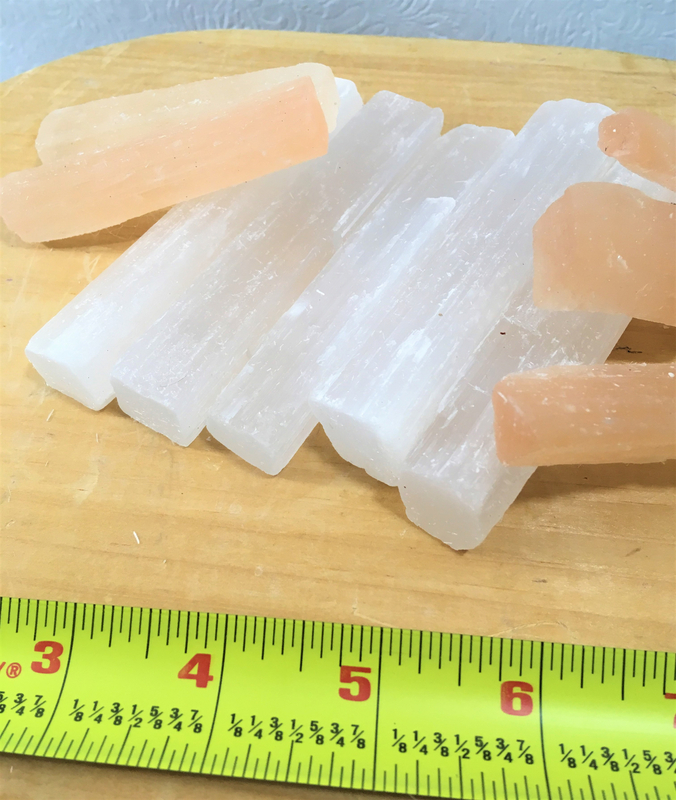 Selenite is not only a protective stone that will keep the negative energies away, but it can also heal your body with the healing energies that it possesses, especially if you use it with some of the Orange Stones. It's also a great stone to have for the attraction of wealth, prosperity, and abundance. Selenite crystals help to remove all energy blockages in the body. Place a selenite wand on any area of the body that feels sore or tight, for about 20 minutes, and you will feel the difference. To cleanse your aura/energy - take a selenite wand and use it like it’s an eraser. Comb the crystal up and down your body, visualizing it sucking all the negativity, anxiety and worries from your day away. 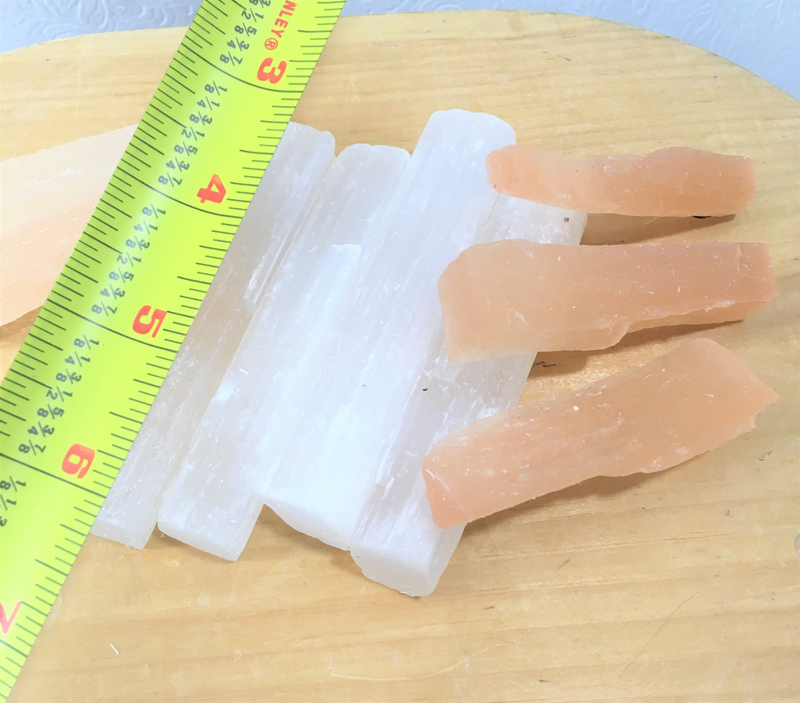 Make sure you start at the top of your head, moving to the bottom of your feet, about 5 inches away from the body, and let the Selenite healing crystal energetically cleanse you. This simple technique is extremely powerful to do, in less than 5 minutes, if you are around large groups of people or find yourself around negative people or environments. This energy clearing technique helps to cleanse and purify your aura, making sure that you don’t pick up on other peoples’ energy and unwanted “stuff”.